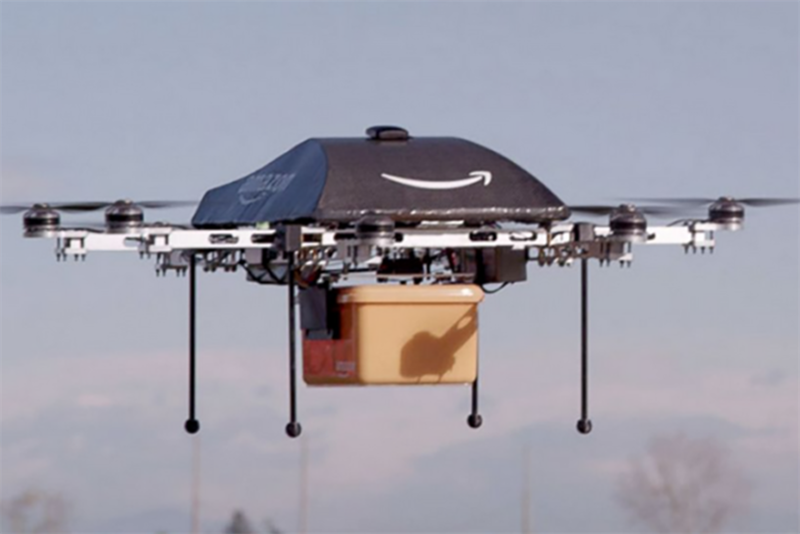 The Federal Aviation Administration (FAA) last week granted Amazon an exemption that will allow it to begin testing its Prime Air drone fleet. It's one of 30 exemptions granted by the FAA under Section 333, which regulates unmanned aircraft systems (UAS). Amazon's exemption specifically mentions testing of package delivery; most of the other drone operations cleared were involved in film production and data collection. Amazon's petition had been delayed, in part due to objections from the airline and agricultural pilots associations. In giving Prime Air the green light, the FAA decided to adopt ideas proposed by a coalition of unmanned flight organizations. The coalition held that Amazon's drones posed less safety risk than larger UAS vehicles used for defense and other aerospace purposes. It suggested FAA would be okay in clearing Amazon's testing by holding it to factors such as location, limited site access, two-way communications capabilities, and pilot experience. The exemption granted to Amazon requires that its drones weigh less than 55 pounds including payload, do not exceed speeds of 100 miles per hour, be operated at an altitude no higher than 400 feet above ground level, and be within the unaided sight of human controllers at all times. Commenters opposed to the Amazon petition held that controllers should hold commercial or private pilots licenses and pass air flight medical standards testing. But the FAA cleared Amazon controllers holding the minimum of a recreational or sport pilot certificate, along with a valid driver's license in lieu of a third class medical certificate.